Just bought another one of these magical dresses. Magical? Yes! It flatters everyone and its super cute and is a closet staple! I first bought a gray long sleeve one during my first pregnancy, and since have purchased 3 more! They come out with new colors every season so you’re sure to find one you like. 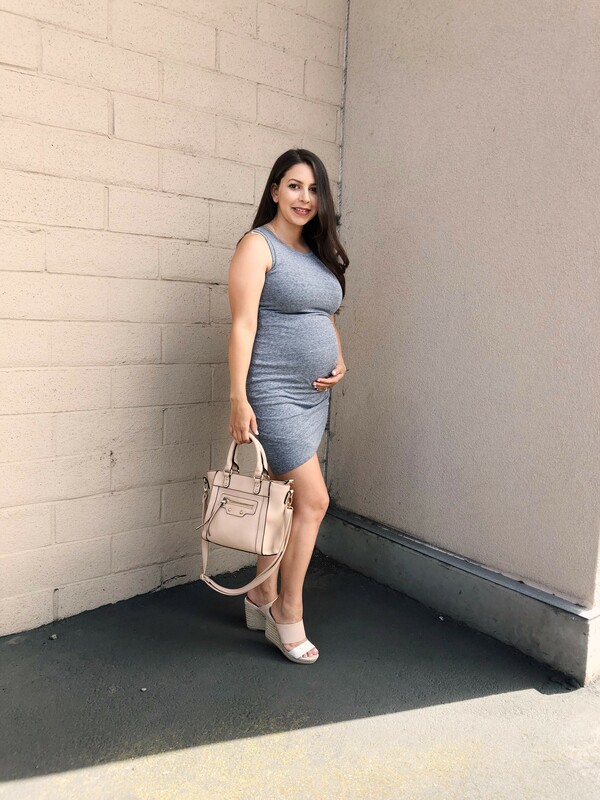 These dresses look good on everyone whether you’re big, small, or even pregnant! The ruching on the sides really help to flatter your shape. I love buying non maternity pieces that work no matter what. Not only does it look good on everyone, but it’s a closet staple because you can dress it up or down, you can pair it with heels, sandals, boots, or even sneakers, throw it on with a blazer, a cozy cardigan, or a denim jacket (or of course alone!) and it all looks amazing! If you haven’t purchased one already, I highly recommend you do!